Meta-Androcto, I have some work-related things going on in the next few days, but I’ll catch you on IRC sometime soon. BTW, if anyone has difficult alignment problems to discuss, please see this thread about sample cases. This applies the operator to each selected object. The active object is used when ‘Auto Grab Source’ is checked (so it will yell at you if you try to auto grab source verts and there’s no active object). As always, please share any thoughts/feedback. Finally! Looks like Blender is getting some alignment or snapping tools that Wings3D had over 10 years ago! But yeah, this looks very useful. Particularly when you’re trying to do stuff with fits that don’t lie along the usual global axes. I think I’ll have to mess around with it to see how well it works. How do two objects of different sizes overlap? One thing I’d like to suggest is some way to click to sample the plane normal you’d like to use instead of having to enter edit mode and picking a face or 3 vertices. The “Carver MT” addon now included in 2.78 samples the face the mouse hovering over when you’re using the Profile Brush so that may be somewhere to start looking if you don’t know how to do this. Also, shouldn’t this thread be in the Released Scripts forum, not Latest News?? New release! Grab it here (v0.3.0) now. Also, I took your suggestions and made a new thread in the Released Scripts subforum. The goal will be to have in-depth discussions there, and keep this thread focused on News related announcements (like new releases). obsurveyor, I’ll look into adding some version of a feature that will let you easily grab the face normal. jack1940, I’m not sure exactly what you’re asking, head over to the other thread if you want to discuss more or message me. Wondering is it possible to add a relative Rotation? Check the GIF below, it is literally the exact operation I last posted about on the other thread It’s an in-development feature right now, so you’ll have to grab the latest testing version of the addon (I’m planning a release soonish). Huge upgrades were made to advanced editing and measurement features. These improvements mean faster, more flexible and more lightweight workflows for complex operations. The Wiki has also been completely rewritten for this release (now on Github). 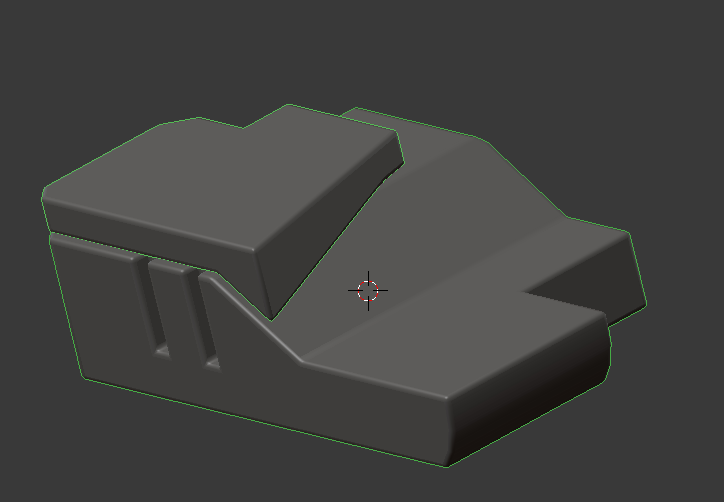 I very like your addon, this is much more better align than in my CAD application. This seems far more granular than what I tend to want to do. For my purposes, Align by Faces (also an addon), is mostly what I need. When that doesn’t work, or I need more, more control, (and it looks like, with more control, comes more complexity), Mesh Align Plus would be my goto tool. Seems confusing because “mesh” can be a vertex (vertices), a face (faces), or an edge (edges). And as such, maybe it’s me, your tool seems a little unclear in that regard. Looking at how vertices align based on the examples I’ve seen here, wasn’t what I was expecting. Align by Faces was what I was thinking would happen. Seems, like some extra mental effort is involved if “Align by Faces” is what’s preferred. Again, maybe I missed it. I didn’t quite see a clear, straightforward example of that. Other than that, looks quite powerful and versatile as long as you understand how it works and why. Looks like there’s more info (and gifs) on this at your GitHub. Helps to spell it out a little more clearly. I’m just discovering this because the update post brought it to the ‘front’ again. Which made me wonder: Couldn’t there be a place on BA where a person could go to see a list of announcement threads like this about addons, important insights into Blender or what-have-you? Someone new to Blender—or someone returning after a long hiatus, like me—could easily overlook such a powerful addon because it’s buried. Food for thought for the BA admins? Or perhaps the thread system doesn’t support this kind of thing? It’s good to hear when people find your tool useful, thanks for posting Craig Jones, jachtarfranko, rontarrant. About the name, the word Mesh is supposed to refer to Mesh Objects as well as actual Mesh Data. It’s difficult to fit everything into a name that is descriptive, accurate and catchy! New v0.5.0 release is out! Install notes are here. Check out the in-depth discussion thread for more info in the released scripts subforum here. Blender 2.80 compatibility, a new face-alignment option (and default behavior!) 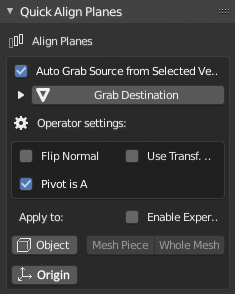 for “Align Planes” and a NEW INSTALL PROCESS are the big headlines with this version of Mesh Align Plus (free and open source as always!). The addon has now moved to the 3D View > N panel as well. What a life saver this add-on is! And it’s even more flexible than the last one I used for 2.79 (it was called “precise align” and it was years and years out of date but I kept holding on to it). Super happy surprise to search and suddenly find this now that I’ve switched to 2.8. This should be included with Blender by default. Fantastic design! Wonderful job. Maybe a quick option to put a face of the object “on the floor” (XYZ=0, face normal pointing to -z). this way it’d be easier to rearrange misaligne objects on a scene. I wonder if the align function could be possible without going into edit mode like maya’s Snap together tool. It would make the tool much more intuitive and accessible.